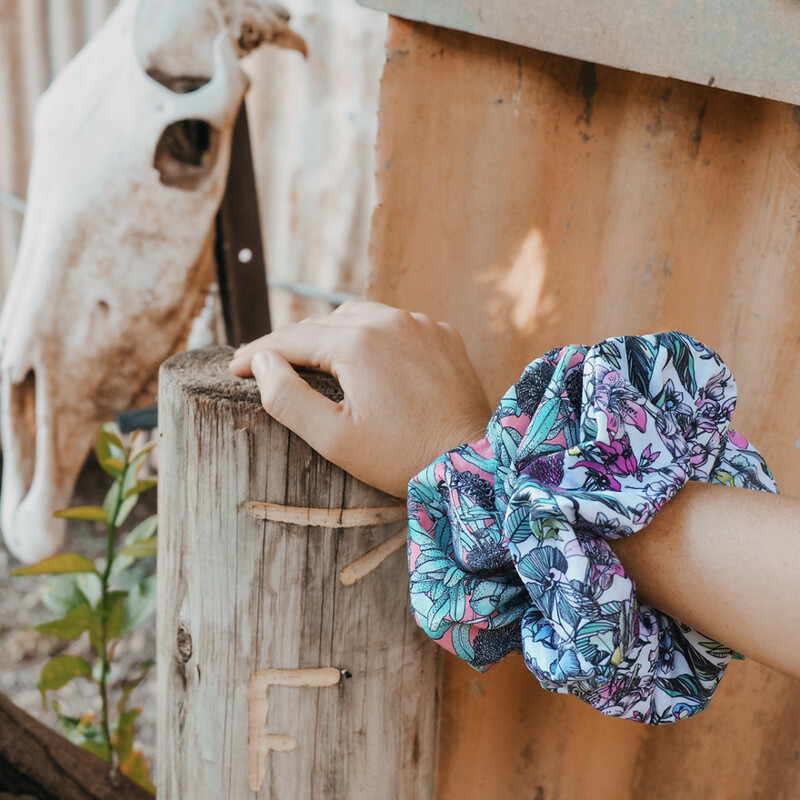 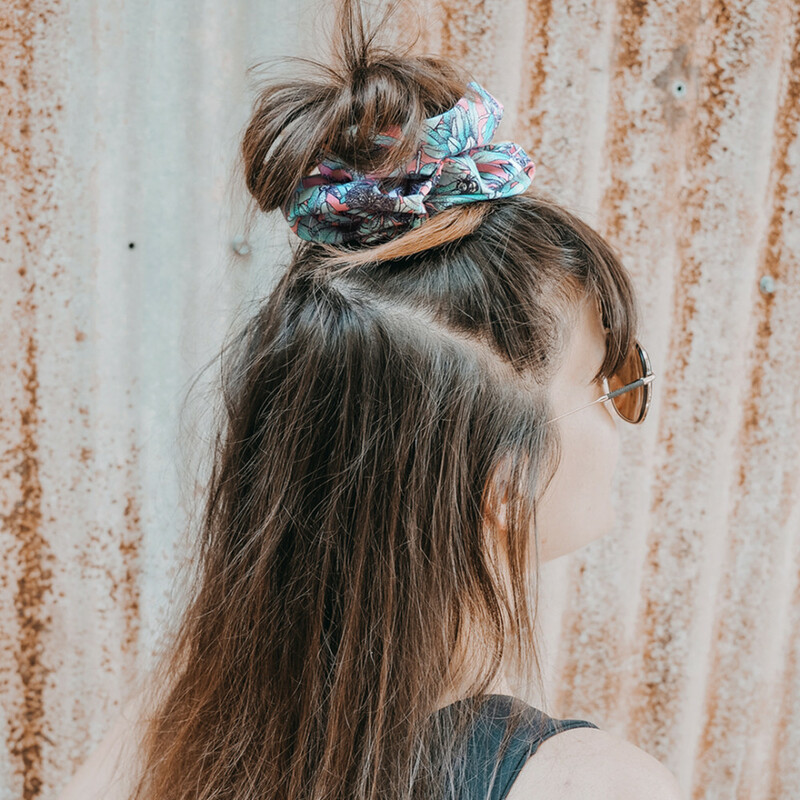 The Scenic Route is the creative project of artist and textile designer Victoria McGrane who is currently living and working in the remote Gulf Savannah in outback Queensland. 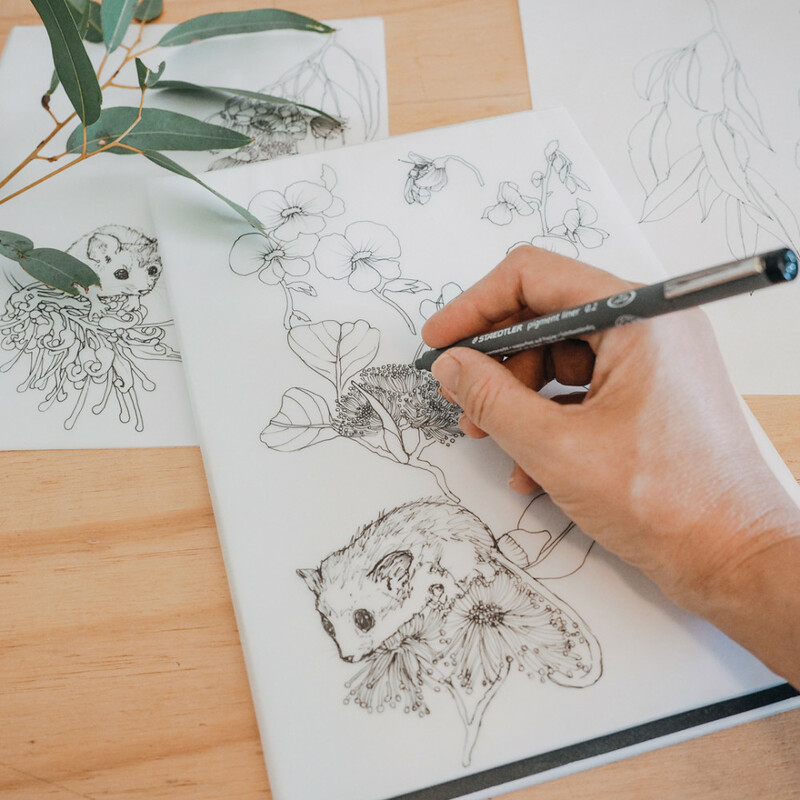 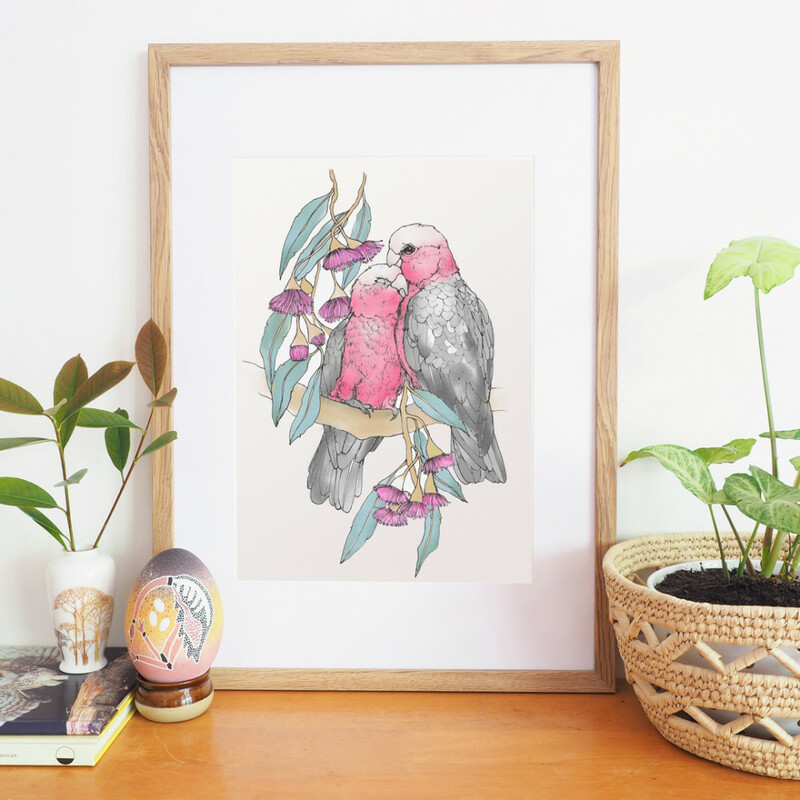 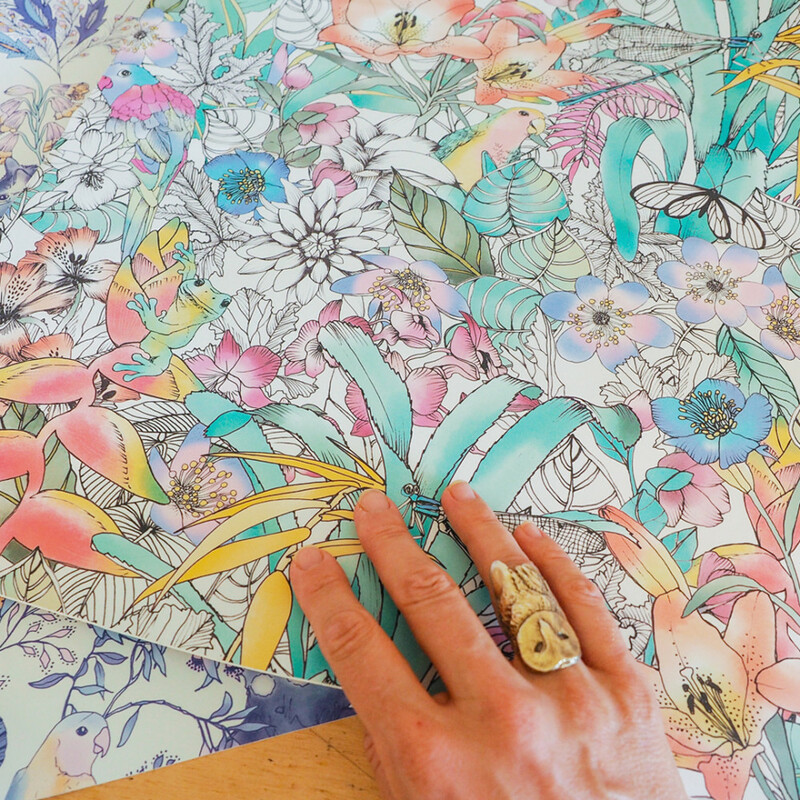 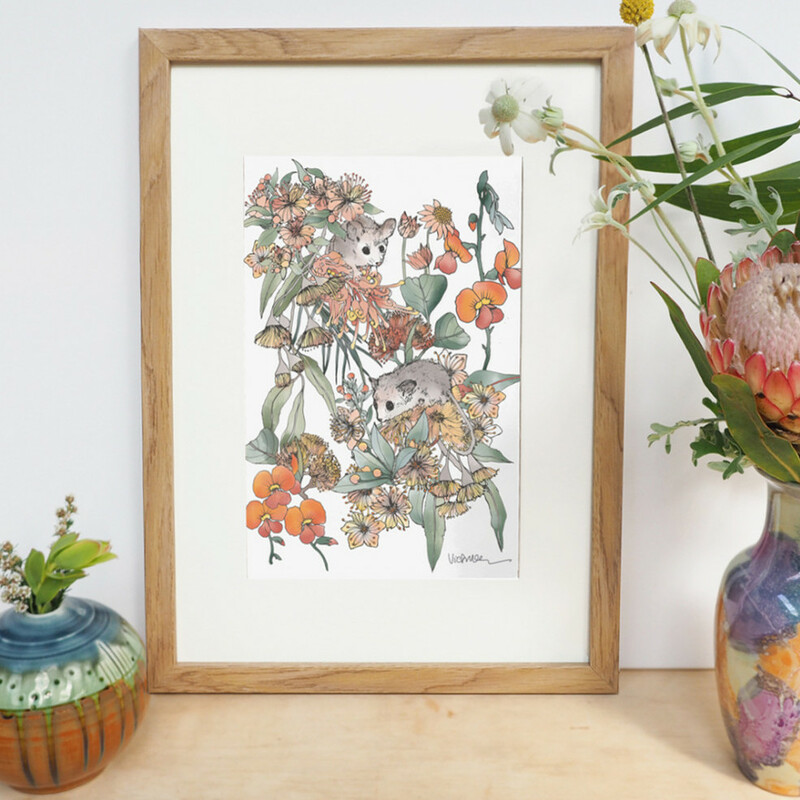 Inspired by her travels, the beauty of nature and the unique flora and fauna of Australia, Victoria creates intricately illustrated botanical artworks and unique surface print designs. 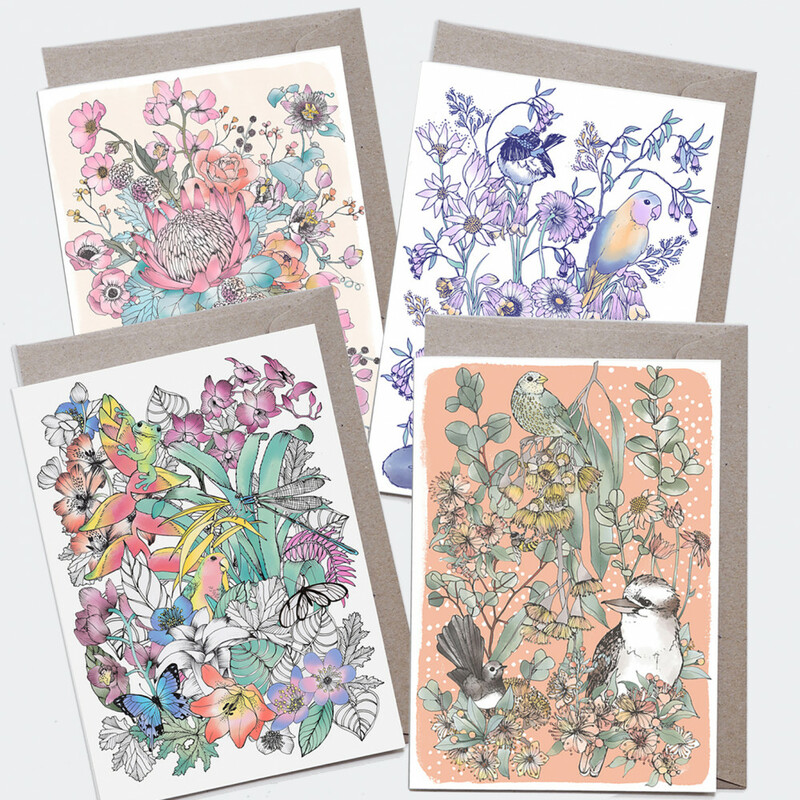 The range includes limited edition fine art prints, greeting cards, gift wraps, textiles, bedding, cosmetic bags and accessories. 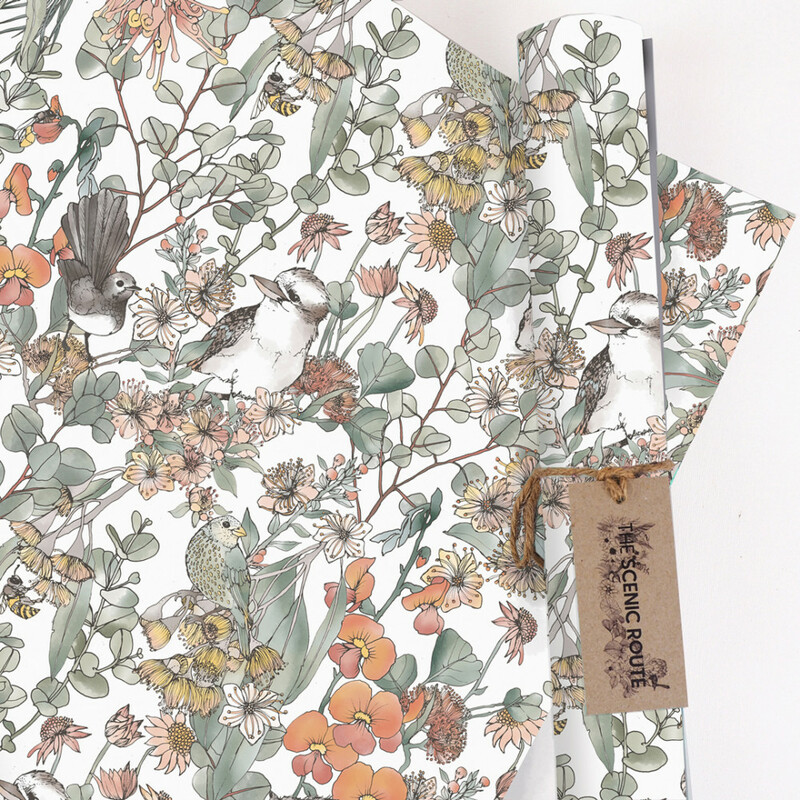 (Look out for gift packs, and special mothers day offers!) 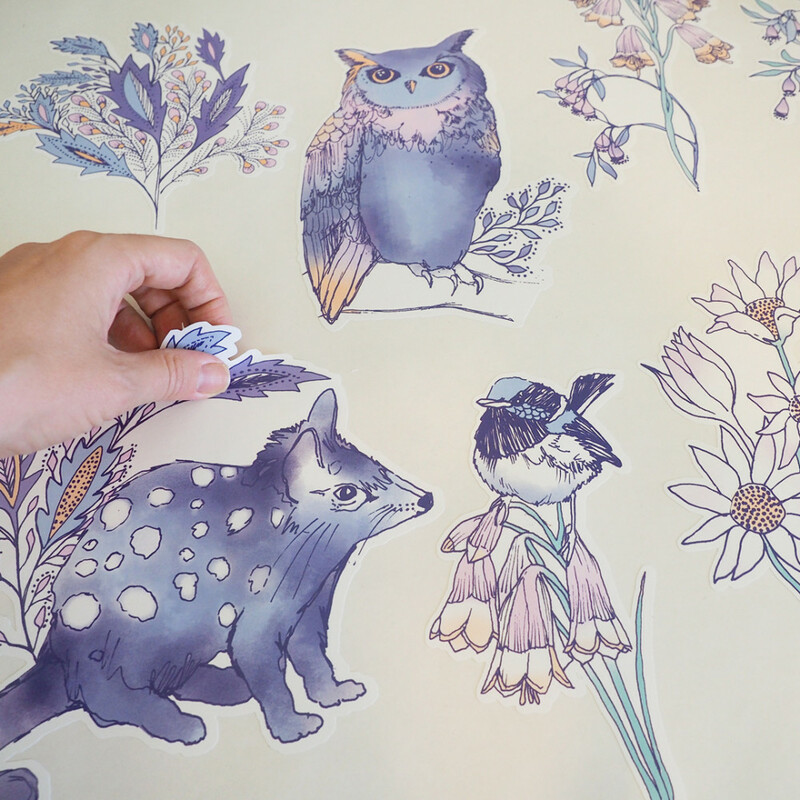 A range of removable decals and bespoke wallpapers will be launched at Finders Keepers Sydney 2019. 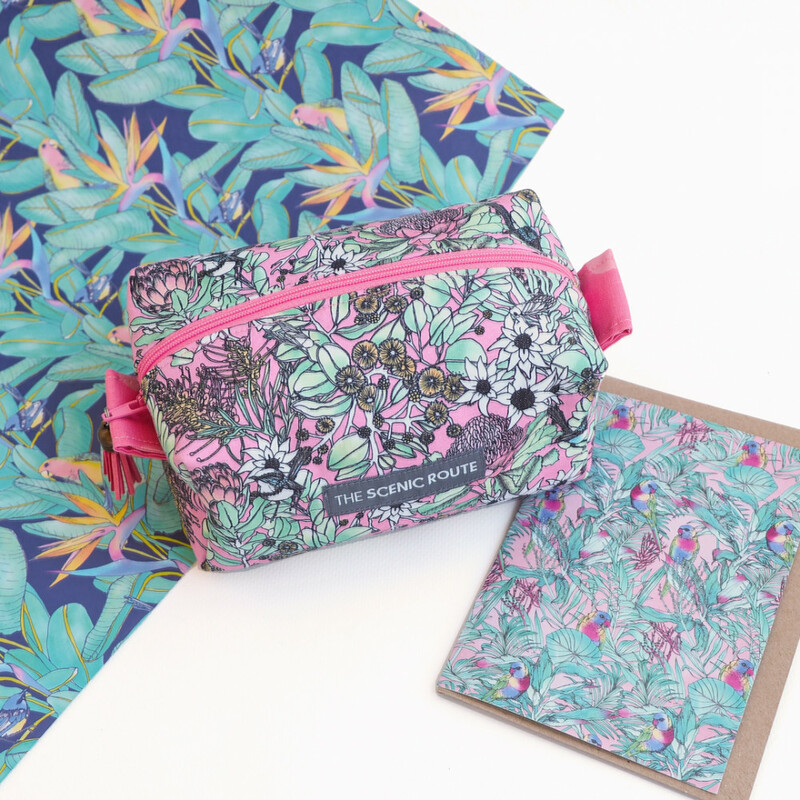 The Scenic Route was created from a desire to make a positive impact, and to create products that people will love and treasure forever. 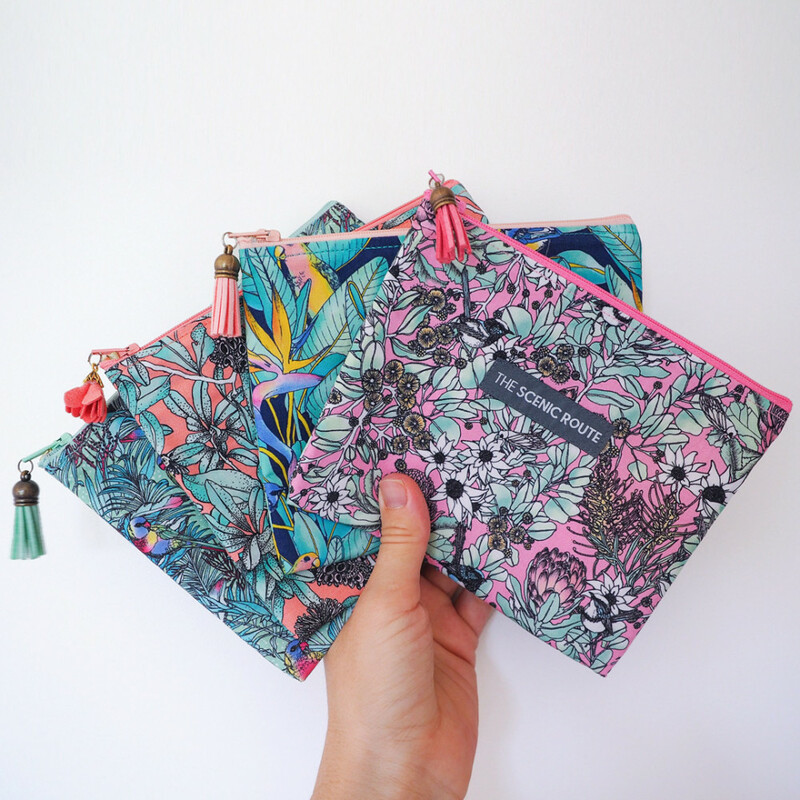 Everything is locally designed, ethically made and packaged using eco-friendly methods and recycled materials.